Valentine’s Day is approaching quickly, but residents in Plymouth and Hutchinson, MN, don’t need to panic. As the area’s leading full-service florist, Dundee Nursery will help with all your floral needs. Whether you’re seeking a beautiful bouquet to gift your loved one or a special arrangement to send to your friends, they have you covered this holiday. Convenient Ordering: Ensure your Valentine’s favorite blooms are in stock by placing an order in advance. Their team has an extensive array of arrangements and bouquets available for all tastes and preferences. Choose among fresh-cut wildflowers, custom silk arrangements, or classic red roses. 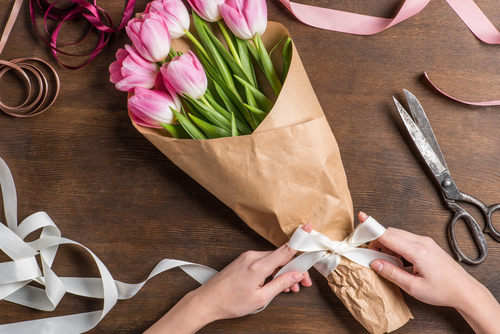 In-Store Pick-Up: After ordering your arrangement, stop by one of the florists’ convenient locations. Situated on Highway 55 in Plymouth and Highway 7 East in Hutchinson, the shops will be open on Valentine’s Day, making it easy to pick up your order, so you can give it in person. Delivery: If you can’t get your flowers to your special someone this year on your own, Dundee Nursery also delivers to homes and workplaces, so your recipient can receive a stunning surprise on the most romantic day of the year. For optimal convenience, you can even place delivery orders online. No matter your needs, Dundee Nursery will help you wow your Valentine this February. With arrangements available at a variety of price points, there’s something for everyone at this florist. To place a delivery order for Valentine’s Day or to learn more about their additional products and services, visit the shop’s website. Or, check that your Valentine’s order is in stock by contacting the shop in advance. Call (763) 559-4004 for the Plymouth location, or (320) 587-4664 for the Hutchinson shop.